1. What Is the Max Pretax Amount I Can Put in My 401k? 3. Can an LLC Contribute to a Roth IRA for the Owners? Saving toward your retirement years doesn’t usually happen overnight. And the question for which retirement savings vehicle you’ll choose for investing your hard-earned money doesn’t come with a one-size-fits-all answer. But if the thought of being able to withdraw your money tax-free at (or before) your retirement strikes a pleasing chord, some of the other perks of a Roth IRA may also sound like music to your ears. For starters, another benefit is that you can increase the amount of your Roth IRA contributions if you’re older than 50. With the passage of the Taxpayer Relief Act of 1997, the Roth IRA debuted as an alternative to the existing individual retirement account options. The most noticeable tweak in this legislation was how Roth IRA contributions were taxed. Within the traditional IRA structure, which is still an option today, taxpayers don’t pay income tax on the money they contribute to other retirement accounts (they pay income tax when they withdraw their funds). But Roth IRA accounts are slanted in the opposite direction. Investors pay income tax on their contributions before the funds are deposited into their Roth IRA, and on the back end – when taxpayers withdraw funds from a Roth IRA – the withdrawals are tax-free, and any interest the investor earns is also tax-free (depending on a few factors). Taxpayers cannot claim Roth IRA contributions as deductions on their tax returns. Taxpayers can continue to contribute to their Roth IRAs past the age of 70 ½. Taxpayers can leave funds in their Roth IRAs for their entire lifetimes, with no requirement placed on withdrawal limits. Taxpayers must designate this account or annuity specifically as a Roth IRA when the account or annuity is first set up. Before you know how much you can put in a Roth IRA, you’ll first need to make sure that your income meets IRS eligibility guidelines. Check under your tax filing status to see if your income makes you eligible. Married filing jointly or qualifying widow(er). Your modified adjusted gross income must be less than $189,000 to contribute up to the maximum limit. If your income is greater than or equal to $189,000 but less than $199,000, you can contribute a reduced amount. Married filing jointly or qualifying widow(er). Your modified adjusted gross income must be less than $193,000 to contribute up to the maximum limit. If your income is greater than or equal to $193,000 but less than $203,000, you can contribute a reduced amount. Even if you meet IRS income requirements that allow you to contribute to a Roth IRA, you’ll also have to meet applicable contribution limits. Otherwise, if you exceed the max Roth IRA contribution limit, you may be staring at a penalty. Contribution caps can change with new tax legislation, but for tax years 2015 through 2018, you can contribute a maximum amount of $5,500 ($6,500 if you’re 50 or older). This amount increases to $6,000 for the 2019 tax year ($7,000 if you’re 50 or older). You cannot contribute an amount that’s greater than your annual taxable income, even if your income is less than the maximum amount allowed. Roth IRA contribution limits include the total amount of the contributions to both your Roth IRA and traditional IRA accounts. If your income qualifies you to contribute only a reduced amount toward your Roth IRA, you'll have to do a little figuring to compute the exact amount of your contribution. The IRS provides a worksheet for you to use as a Roth IRA contribution calculator, which you can find in IRS Publication 590-A (Contributions to Individual Retirement Arrangements [IRAs]). Visit IRS.gov/forms and search for this publication by number to find Worksheet 2-2 (Determining Your Reduced Roth IRA Contribution Limit). If you have a traditional IRA, you can convert those funds to a Roth IRA. This conversion is also called a rollover, because you're rolling over (or contributing) the funds from one type of retirement account to another. You can also convert certain amounts from other qualified retirement plans such as pensions, annuities, 401(k) plans and governmental deferred compensation plans. Publication 590-A discusses the types of plans that you can convert as well as their eligibility requirements. Even if your higher-than-allowed income makes you ineligible for a Roth IRA, you may have another option. Although the "backdoor" moniker may sound a bit sketchy, the IRS does allow this method. 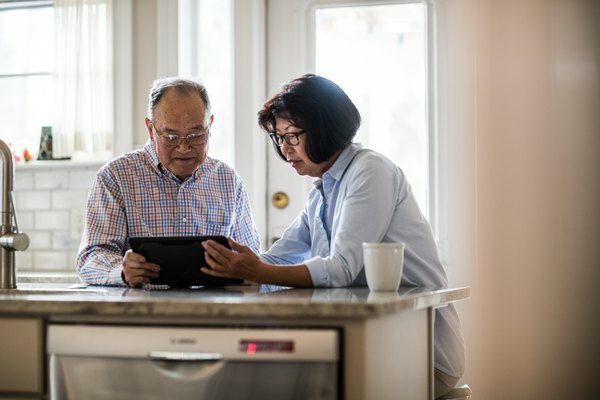 Generally, you'll be moving certain types of funds in other accounts into your Roth IRA, but eligible transfers do not have to meet the income guidelines. Your tax attorney or CPA may be your best ally to guide you through a backdoor Roth IRA set up. Tax professionals can help walk you through the steps of establishing a Roth IRA, or you can do some research online to find a reputable bank or broker with a plan that works best for you. You’ll have a choice of different investment options for your Roth IRA such as mutual funds, money market accounts, certificates of deposit, stocks and bonds. Regardless of the investment vehicle you choose, ask if the bank (or other financial institution) or broker is IRS-approved to open a Roth IRA. Unlike joint bank accounts and other types of financial accounts, Roth IRAs cannot be jointly held between spouses. Spouses must have their own individual Roth IRA account. But one spouse may open and fund a Roth IRA for the other spouse who has little (or no) income. You must file a joint tax return with your spouse. Contributions cannot exceed the total taxable income on your joint return. Your income must meet eligibility requirements for your spouse’s Roth IRA as well as your own account. Contribution limits for each spouse’s Roth IRA must not exceed the maximum contribution limit for one account. What If I Put Too Much in My Traditional IRA?